During downtime, we like to enjoy the best of what the video game industry has to offer, and in doing so, we've used a ton of hard drives with the Xbox One for storing our ever-expanding library. This external unit boasts a large amount of storage for the price. We find that the 4TB option strikes the ideal balance between storage capacity and affordability. The extra 4TB of storage will ensure you'll be able to bolster your game collection for many months to come. If you find yourself filling up the internal drive of the Xbox One and need to keep clearing games you don't play too often, adding an external storage device like this 4TB unit from Western Digital will allow you to store many more. It's also reasonably priced, so you don't need to break the bank. Yes. Really, any time is a good time to purchase an external drive (or storage in general). The prices of many new drives are reasonable right now. It's also possible to score some excellent deals on mechanical drive-touting enclosures like this WD unit. Not as fast as an SSD. Need a spare outlet for power. Not only are you investing in a quality storage brand in Western Digital, but the prices of the company's My Book line of external enclosures are incredibly competitive. Some purchasers have even found the drives contained within the products to be priced more as standalone units than when inside the My Book protective casing, so you know you're getting a solid deal for the Xbox One S or Xbox One X. With games becoming more complex and sizes hitting insane amounts for downloads, it makes sense to pick up an external drive to offset some of the burdens, since the Xbox One S only comes with either 500GB, 1TB or 2TB of internal space, which simply isn't enough anymore. The Xbox One X suffers from similar storage constraints. Throw in a 4TB Western Digital My Book and you have up to 6TB of storage space. 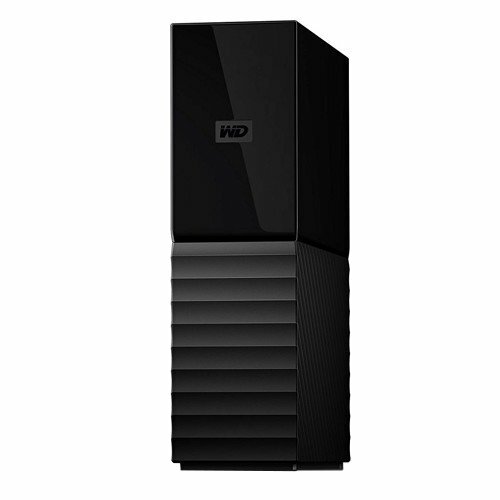 WD has you covered with 4TB of space, ample enough for many games. The My Book is essentially a WD drive plugged into a daughter circuit board, which then runs via USB to the Xbox One S. That's pretty much it, aside from the protective plastic casing, of course. No thrills, no cool LED lighting, but when all you require the drive to do is spin up with the Xbox and store games, that's pretty much all you could ever need in an external drive. 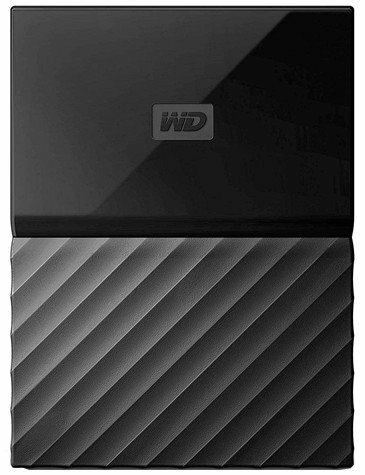 WD offers the My Book series in 2TB, 3TB, 4TB, 6TB, 8TB, 12TB and 16TB configurations. The latter two options are dual-drives, sporting larger cases with two drives inside. It all depends on how much you want to spend and how much capacity is required. The My Book isn't for everyone. If you demand the best speeds for load times, you'll want an SSD. Or perhaps you only require a drive, since you already have an enclosure. We rounded up some additional options to suit these needs. For the serious Xbox One gamer. You'll likely never run out of space. When you need serious capacity, Seagate has you covered with the excellent Game Drive Hub. With a massive capacity of 8TB, this Seagate Game Drive is ideal for those who need to store a colossal library of Xbox One titles on their consoles but only wish to make use of a single drive. 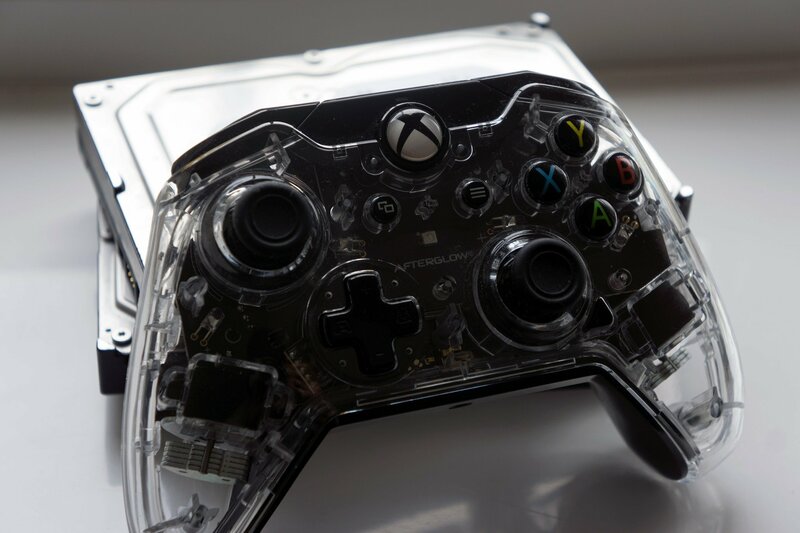 It's also designed to fit right in with the Xbox console itself. More affordable than others but with substantially lower capacity. Want a portable drive you can take with you to various LAN events and Xbox parties? My Passport family of drives is worth a look. Not only is the My Password from WD great value for 1TB, it's also perfect for taking along for the ride to LAN events and parties where your Xbox may also have an invite. While it's not designed alongside the Xbox, there are numerous colors to choose from to match your taste. Great option for adding an SSD without spending too much money. Sporting read and write speeds of up to 540 MB/s, the Samsung T3 external SSD package is a great solution to improve performance and expand memory without decimating the bank balance. What makes an SSD a worthwhile purchase for an Xbox One console are the read and write speeds, making it an ideal upgrade over the mechanical drives located inside the console. Samsung makes some of the best SSDs on the market so your collection of games is in good hands. Samsung's 890 Pro is expensive, reliable and super quick. Should you have the funds available and want to take full advantage of the increased read and write speeds of SSDs over traditional hard drives, the Samsung 860 Pro series is among the best of the best. Samsung's PRO range of SSDs is incredibly fast considering they connect via slower SATA cables rather than hooking up through PCIe. This also makes them ideal for the Xbox One. All you need to do is purchase a small SSD enclosure to house this drive and manage the connection between it and your console, and you're good to go. While you cannot go wrong when it comes to external hard drives, especially if you have a few units lying around and simply need to purchase an enclosure, we believe the best option for the Xbox One S and Xbox One X is the WD 4TB My Book. Not only does it add an insane amount of storage to the console, but it also offers great reliability and portability. For our money, it's a must-have Xbox One X accessory. Jez Corden is a full-time writer for Windows Central, focusing on Xbox, Surface, and Windows PC. 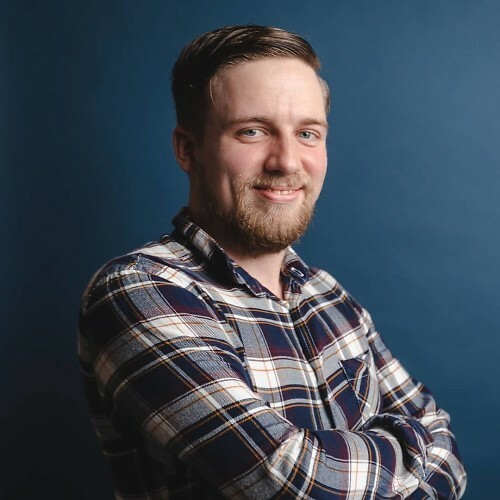 He spends the vast majority of his game gaming, or writing about gaming, with a mission to provide gamers in the Microsoft ecosystem the best and most up-to-date info possible.